For small online businesses, the holidays can be draining. Sure, shop owners have the opportunity to make big profits from sales, but there's relying on the postal service—often a headache in itself—and the responsibility of creating hundreds of orders, with a team you can count on one hand. For a successful holiday shopping season, it's all about preparing, mastering a shipping strategy, and setting limits. We spoke with eight different Etsy shop owners about how they handle everything from preparation to shipping to self-care during the holiday season. A womenswear clothing label based in New York City with a focus on prints and vintage silhouettes, as seen on Beyoncé, Jill Scott and others. The busiest season is the fall season. Honestly, after the holidays is when a lot of my customers start to order things. They may be [using] holiday money to buy things? But, in the event that I have a lot of holiday orders, the way my business is run, everything is made-to-order. So, I think my customers have an understanding that there's a wait. And in the event that they need something shipped faster or sooner, if they request that, I can always try to do that for them. I couldn't make everything on my own if I wanted to, at the rate I'm going. For the past two to two-and-a-half years, I've had a production team. My assistant and I do cut out a lot of the orders ourselves, and then we hand them to our seamstresses—one in Brooklyn and one here in the Garment District in Manhattan. I started selling with Etsy because it was pretty easy—and I also knew that Etsy had its own following and customer base. I knew that I would get work being on a platform, versus going out on my own. Also, I wanted to be accessible, not just to people in America or people in New York, but to people all over the world. Etsy gave me the platform to do so. I've been trying to close the shop down for a week just to regroup and start designing the new collection that I'll be coming out with in January. [It's important for me to] close the shop when necessary and take the time that I need to relax by either going home and sketching or going to my hometown in Virginia to be with my family—it's a little slower there than it is here. Visit Reuben Reuel's shop here. Marta Ryczko, Weekender Supply Co.
An art and craft shop based in Toronto selling original pins and prints. Shipping from Canada is aggravating, as we don’t have a great system set up for online businesses. Being able to print shipping labels directly off Etsy helps, but the cost of including a tracking number to US or international orders is three times as much as the work that I sell. So when the holidays come around, I try to stress to everyone that tracking numbers and express shipping will cost a lot more. Most people are understanding, which I get, because who would want to pay forty dollars for shipping a small envelope, versus the regular five dollars for a non-tracked package. In the case of an actual missing package, I make sure to be super diligent and communicative with my customers to figure out how I can help them. It’s hard for me to think of a con for having an Etsy shop during busy times because I know that having the time to start a side project making silkscreen prints and art is not something that everyone gets to do. Sometimes I have to pull a few all-nighters or deal with the post office, but that’s a really minuscule price to pay when people from around the world are ordering my work and I’m able to have a small side income to help me pay rent or student loans. Visit Marta Ryczko's shop here. A home goods shop featuring custom cookie cutters and cake toppers. We just opened on October 30th. We really didn't know what to expect, we were just hoping to provide some great holiday cookie cutters when we came up with the idea. After introducing custom products, our sales skyrocketed, and we had to spring into action to create these unique gifts that so many were hoping to give this holiday season. We decided to offer a limited number of rush orders, with expedited production and shipping. We don't even know yet! Self-care is important, though, throughout this entire process. It helps to remember that we are creating a product that will hopefully produce some amazing smiles. We do take time to stop each night, sit down at the dinner table and eat as a family—no phones or tablets allowed. We have received over 200 custom cookie orders in the last three weeks. So far, we have gotten a few cool clients; [most recently] we had a very famous talk show host's staff request a Custom Portrait Cookie Cutter of the celebrity's face for the Christmas party. Visit Robert and Karen's shop here. An art and craft shop based in Brooklyn selling cheeky pins, prints, sunglasses, jewelry, clothing and more. I tell customers their orders will take longer than they actually usually do, to give myself a buffer. I usually say that items go out within 1-3 days—when they usually go out within a day. I only have a few pop culture references in my shop (Icky Minaj art, the Dolly print, the Human Centipede friendship pins) but I try to steer away from those references. They feel too trendy and cheap, so I have to really like an idea to want to reference it. That being said, I am always making new art, so the turnover rate is typically pretty quick. Visit Penelope Gazin's shop here. A paper goods shop in Lawrence, Kansas specializing in custom wreaths about body positivity, smashing the patriarchy, and other uplifting messages. Last year, this was something I really struggled with—I didn't set enough boundaries and said "yes" too often. It meant I was working through my Christmas and New Year, which this year I decided is not gonna happen. I only use USPS flat-rate shipping, which is really great because the shipping turnaround is 2-3 days in the contiguous states. I get help from friends with packing up the wreaths. I also try to go as analog as possible, writing things on the calendar—I remember a lot better that way. If I'm crossing off a day and see a deadline sneaking up, I can either say, "I've got to work a little faster" or "I can prioritize something else." Whereas with my iPhone, I can dismiss a reminder and not think about it again. Self-care is something I try to work into my routine. It's like that old adage: "an ounce of prevention is worth a pound of cure." I see it as a way of maintaining my mental health, rather than a reward. That said, I am planning on traveling to see Joanna Newsom in concert after my cutoff date. I'm seeing my friends, getting to do things, other than making wreaths, that make me happy. I've been trying to stay away from the "treat yourself"/spending money mentality when it comes to taking care of myself, because I think the two are easily conflated. I think the convenience and polished interface [of the site] means that consumers forget that there's sometimes just one person handling their purchases. In a time when juggernauts like Amazon are providing services like next-day delivery, while having exploitive work model, it can mean consumers have different expectations than if they're buying from me at a craft market or placing orders in person. That said, most users understand what it means to buy handmade. I'm a perfectionist, so I've had to adjust to those expectations and speed up my work process, instead of harping over every detail. Visit Grace D. Chin's shop here. A Brooklyn jewelry shop offering handcrafted gemstone necklaces, earrings and bracelets. I implemented the option to "skip to the head of the line and have your order made first" early last year. It was a combination of my experience with the first year of holiday orders and seeing that some other shops offered that as well. There will always be orders that a customer needs ASAP, and this way they can just add the upgrade to their order rather than having to send me a message. December becomes a bit of a blur when the focus is so heavily on my business. At times I worry I will miss out on the holiday experience—purchasing and trimming the tree, seeing the Christmas lights, watching the classic movies, taking days off to celebrate the holidays. I am hoping to take the week of Christmas off. At that point orders wouldn't get to customers in time for Christmas anyway. It would be nice to get the chance to sit on the couch and watch a whole movie. Sounds so simple, right? But during the holiday rush if the TV is on I am usually making orders while listening to it. The same goes for long walks. During the rush, any walk I take is usually to cross things off the list and then get back to work. It would be nice to go for an aimless stroll! A home goods shop based in Wroclaw, Poland specializing in porcelain doll head cups, sculptures and ceramic coffee mugs. November and December are our busiest months of the year. During those two months we generate as much revenue as during the remaining 10 months of the year. In November and December we hire extra people to make sure everything goes smoothly. That helps us to ship orders as soon as possible so people, as much as possible, can get their presents before Christmas. Every year around the holidays, we launch a new exciting design to add to our existing collection. We also had a special, holiday season photoshoot for our porcelain. This year, as well, we bought an additional furnace to double the quantity and the speed of production. The downside is that we have to rely on postal services around the world, and especially around holidays, it can be an extremely frustrating thing. The wonderful thing is that most of our customers are understanding and forgiving, even if it means handing out their gifts after holidays are over. 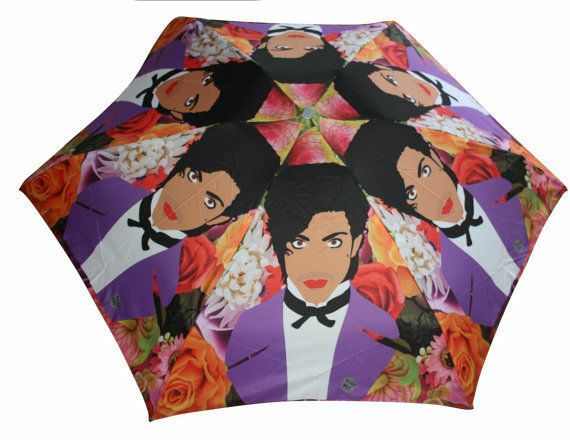 An art and craft shop based in Austin, Texas specializing in pop culture illustrations placed on everyday items—for instance, Prince umbrellas and Amy Winehouse purses. I produce extra items that are good sellers, and I have the best assistant ever helping me. Generally, if I personally make the product, I can get it out on time. Some pieces I don't actually make myself—like the umbrellas. I let the customers know that after a certain date, I can't guarantee it will be delivered before Christmas. That makes me feel really bad, but it's completely out of my control. I love getting custom orders. The most interesting one was where I made 20 custom Tupac Shakur men's bowties for a company. Visit Kayci Wheatley's shop here.